Liver cancer. 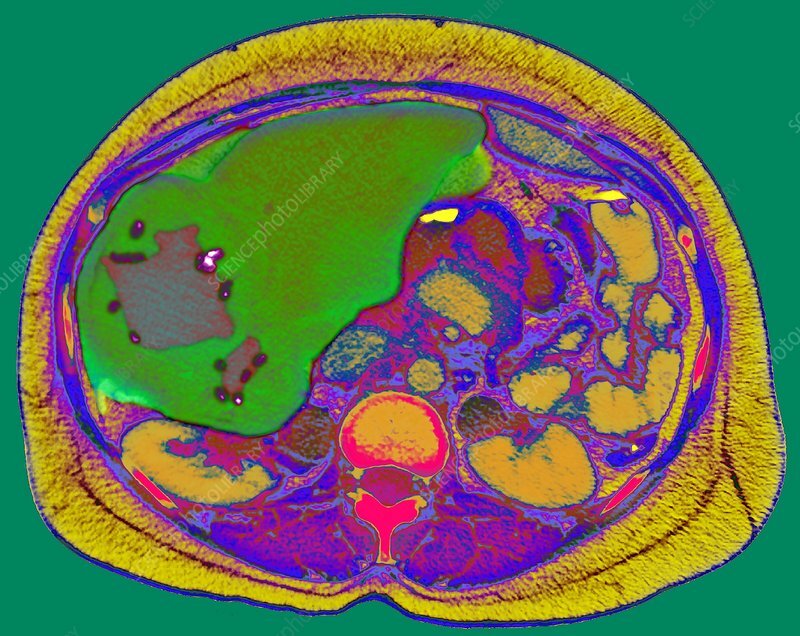 Coloured axial computed tomography (CT) scan through a cancerous liver (green, upper left). This patient, a 45-year-old woman, has a large hepatocellular carcinoma (red) within the liver. Calcification (purple dots) is also seen. This slice section is seen from below with the front of the body at top and the spine (pink) at lower centre. The liver is the largest gland in the body, and has many vital roles that include metabolising nutrients and detoxifying the blood. This makes treatment of liver cancer difficult, and the prognosis is poor.